Suzuki Motor Corporation (SMC), one of the global giants of motorcycle manufacturing, is headquartered in Japan. It holds major stake in its Indian subsidiary, Suzuki Motorcycle India Private Limited (SMIL). SMIL was set up after Suzuki's re-entry into the Indian two-wheeler market. It had severed ties with partner TVS in 2001. Suzuki was then the technology provider in the erstwhile joint venture company TVS-Suzuki. Suzuki manufacturers a complete range of motorcycles as well as small combustion-powered engine products. A global giant, it has its production units in more than 22 countries. However, in India, it is mostly known as car manufacturer, thanks to its collaboration with Maruti. Together they are Maruti Suzuki, largest automobile sellers in India. 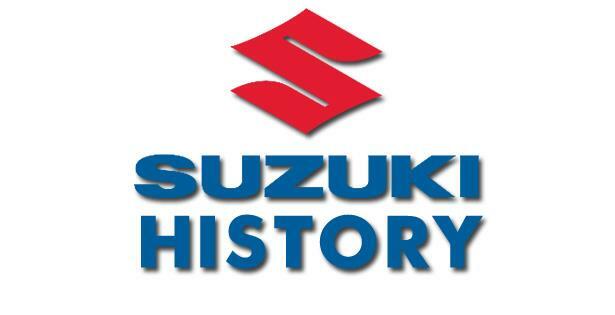 Suzuki began manufacturing motorcycles in 1952. During the 1950s, 1960s and the better part of the 1970s, the company made motorcycles with two-stroke engines. Suzuki introduced its first motorcycles with a four-stroke engine, the GS400 and GS750, in 1976. Thereafter, Suzuki established a reputation as a manufacturer of well-engineered sport motorcycles. In India, the major scooter products launched by the SMIL are the Suzuki Access 125 and the Suzuki Swish 125. The Suzuki Access 125 is a sporty scooter designed exclusively for every member of the Indian family. It is powered by an air cooled, four-stroke engine. Suzuki Access is equipped with automatic transmission making it convenient in the urban rush hour of India cities. It is also equipped with what Suzuki likes to call "Xtra Torque Performance" or XTP, which enables the scooter to draw power and have a faster pick up from its 125 cc engine for excellent riding quality. Not falling back on attraction, the aerodynamic styling of the Suzuki Access 125 ensures rust free body, reducing maintenance expenses by a great deal. Greater of its USPs include a central locking system and a shutter mechanism, unique to the Suzuki Access 125, installed as an anti-theft mechanism. You know that the Access is a family vehicle when it is available in five universal, yet attractive colours of Pearl Mirage White, Glass Sparkle Black, Metallic Flint Grey, Candy Antares Red and Metallic Sonic Silver. Suzuki announced their foray into the Scooter segment by introducing the Access 125. Also, this was company's first 125cc scooter worldwide. Suzuki launched Suzuki Access 125 Special Edition on October 4, 2013, which comes with few cosmetic upgrades and available only in Pearl Mirage White color. Next in line is the Suzuki Swish 125. Swish is a scooter design modern young adults of Urban India in mind. Fitted with trendy and attractive tail lights, smart built-in turn signal and stylish silence cover makes it the perfect choice for the smart, independent youth. Suzuki Swish comes equipped with an amazing four-stroke, 125cc engine ensures a powerful ride with a brilliant pick up. The sleek, aerodynamic design lowers the coefficient of drag, guaranteeing less air resistance and a smooth drive. The scooter employs a CVT transmission, telescopic front fork suspension and drum brakes at either ends that makes for smoother rides on rough, ill-maintained roads. The Suzuki Swish 125 is available in five attractive colours – Pearl Glacier White, Glass Sparkle Black, Metallic Sonic Silver/Glass Sparkle Black, Candy Antares Red/ Glass Sparkle Black and Metallic Triton Blue/Glass Sparkle Black. Launch date: Suzuki Swish 125 was introduced in the Delhi Auto Expo in January 2012 and dealers started taking orders by 3rd week of Febrary, 2012.